If you were one of the thousands of Bethlehem PA, Allentown PA, Lehigh Valley, and Easton PA residents who lost your electric power, you need no reminding of how disruptive it can be. And with weather forecasters indicating that storm frequency is on the rise, you can bet that the next "big one" is coming. A sensible way to prepare for the inevitable is by installing a propane back-up generator from Deiter Bros. 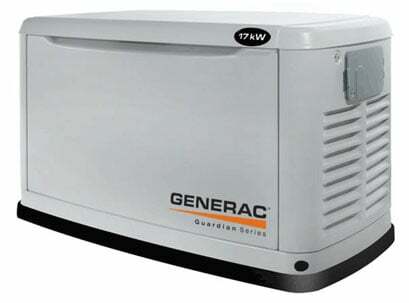 So when the electric power goes out in Bethlehem PA, Allentown PA, Lehigh Valley, or Easton PA from the next storm or any other cause, the generator AUTOMATICALLY starts and your home or business has electricity. Deiter Bros. sells, installs, fuels and services leading brands of back-up power generators for BOTH RESIDENTIALS AND COMMERCIAL PROPERTIES in Bethlehem PA, Allentown PA, Lehigh Valley, and Easton PA.
Click here for more information about our product lineup.